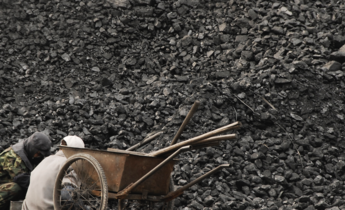 CoalSwarm published a report on September 26 warning that 259 gigawatts of coal power capacity – equivalent to the entire coal power fleet of the United States – is being built in China despite government policies restricting new builds. This blog reported last month that China was building 46 gigawatts of coal power that had been shelved or suspended, and which was discovered by CoalSwarm through an analysis of satellite imagery. The new estimate by CoalSwarm takes the 46 gigawatts found by satellite imagery and adds other projects in the pre-construction/construction phase, as well as 57 gigawatts of shelved projects that seem likely to go online in the near future. Professor Yuan Jiahai of North China Electric Power University told chinadialogue that China loosened its restrictions on new coal-fired power construction in five provinces earlier this year. He is confident that China can keep its total coal power capacity within the 1100-gigawatt ceiling announced in the 13th Five-Year Plan, which runs through to 2020. However, China’s coal power capacity already stands at 993 gigawatts, leading CoalSwarm to warn that the sector’s resurgence is wildly out of line with the Paris Agreement, which commits countries to limiting the average global temperature rise from climate change by 2 degrees Celsius above the pre-industrial period. Satellite imagery reveals that many coal-fired power projects that were halted by the Chinese government have quietly restarted. Analysis by CoalSwarm estimates that 46.7 gigawatts of new and restarted coal-fired power construction is visible based on satellite imagery supplied by Planet Labs. The coal-fired power plants are either generating power or will soon be operational. If all the plants reach completion they would increase China’s coal-fired power capacity by 4%. One of the biggest issues facing China’s coal sector since 2016 has been too much generating capacity, not too little. So what changed? Recently published economic data for the first half of 2018, along with the latest policy adjustments, indicate that China’s power demand is rebounding. Li Fulong, head of the department of development and planning at the National Energy Administration, said at a press conference on July 30 that coal consumption in China increased about 3.1% in the first half of 2018 compared with the same period last year. The main driver of that was coal-fired power generation. Figures from the National Bureau of Statistics show a leap of 9.4% in electricity use across the same period. Meanwhile, the arrival of summer has led to temporary electricity shortages in many regions, with reports of power demand outstripping supply in Shandong, Henan, Hunan, Hubei and Zhejiang provinces. In Shandong the shortfall was estimated at three gigawatts. This has resulted in a loosening of policy-level restrictions on the coal power sector. 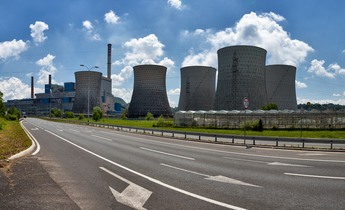 In May 2018 the National Energy Administration permitted Shaanxi, Hubei, Jiangxi and Anhui to restart construction of coal-fired power stations. Restrictions were also relaxed to some degree in four other provinces. “A rebound in industrial demand for electricity seems to have shifted attitudes among policy-makers, who are now more accepting of overcapacity,” said Lauri Myllyvirta, energy analyst with Greenpeace. Yuan Jiahai, a professor at North China Electric Power University, said that some plants are almost complete but not generating power or making money, while loans taken out still need repaying. This has led companies and local governments, which are under pressure to get projects operational, to lobby for a change in policy. The focus of the past two years has been on cutting capacity in the coal sector prompted by concerns about its rapid expansion and contribution to air pollution. Power-hungry sectors such as construction grew rapidly early in the century, and by 2013 China had experienced 12 years of breakneck growth in consumption of coal and power. This led to overinvestment in coal power throughout the country and ultimately overcapacity and financial risk. That blind expansion also worsened air pollution, and in some regions caused water shortages. 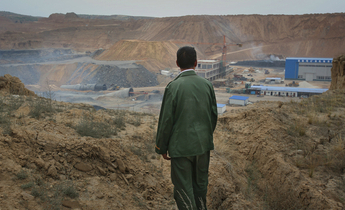 The Chinese government was forced, for both economic and environmental reasons, to rein in the coal-power sector. In April 2016 the National Development and Reform Commission and the National Energy Administration – the country’s top economic planning and energy regulation authorities respectively – issued a joint document instructing provinces to limit total coal-fired power capacity. Almost half of all China’s provinces were told to postpone the construction of new coal-fired power projects. In 2017 the State Energy Administration again halted work on over 100 plants that were under construction. 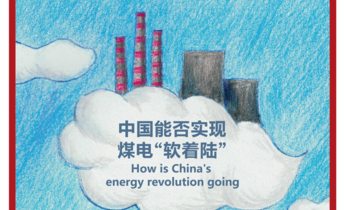 So will this year’s sudden leap in demand for electricity end China’s two-year policy of reducing coal-power capacity? It’s worth noting that the policy of reducing capacity only temporarily reined in a trend towards overcapacity in the sector. Utilisation rates for coal-fired plants recovered slightly from a 50-year low in 2016, but are still nowhere near a healthy level of about 5,500 hours a year, and have not even returned to 2015 levels. In other words, there is still too much coal-fired power. Li Fulong said that due to a hike in coal prices, half of the country’s coal power plants were running at a loss in the first six months of the year. The sector is in poor shape generally and is still trying to recover from a bad 2017. Yuan Jiahai said that adding coal-fired power capacity just to meet some tens of hours of peak load would increase costs in the long run. “I think once the industrial rebound runs out of steam, there will be a renewed focus on overcapacity, but for now the issue seems to be firmly on the back-burner,” Greenpeace's Lauri Myllyvirta said.